When you’re planning an event of any kind, there’s always plenty to think about. And quite often, the stakes are relatively high: whether it’s a charity ball, a corporate convention or simply an important meeting, it’s always important to ensure that everything runs as smoothly as possible in order to make a good impression on those attending. Equipment hire is one of the most important elements of event planning, as so much of an event’s potential success often relies on good quality equipment operating consistently and efficiently. 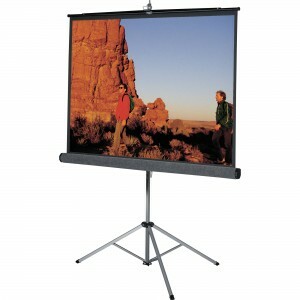 If you’re currently in the process of planning an event in Melbourne and you’re aware that a visual presentation of some kind will be involved, you’ll undoubtedly already be on the hunt for quality projector screens that will ensure everyone attending will be able to clearly see what’s being displayed. Here at Conference Audio Visual, we’re committed to providing quality projector screen hire in Melbourne customers can be confident in. Our projector screens are effective, affordable and easy to transport – making them the perfect choice for your upcoming event, whatever the occasion, guest list or venue and because of our commitment to building a reputation for being a business that puts customers first and technology second, you can be sure that you’ll receive all the help and advice you need when you choose us for your projector hire in Melbourne. With years of directly relevant experience in the industry behind us, we’re able to guarantee our customers that the products we stock are of genuinely superior quality. 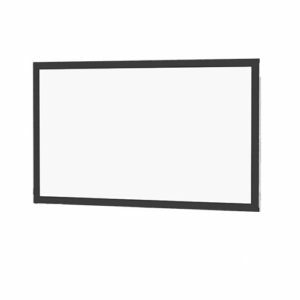 An important presentation can be all too easily ruined by a projector screen that is dirty or deficient in some other way, such as being unable to be adjusted to ensure that the image sits squarely in the centre of the screen. We understand that these problems can be extremely distracting for both you and your audience, and that in some circumstances they can seriously diminish the overall quality of your presentation – and certainly make it seem less professional. As a result, we only ever choose projector screens that we know are practical and reliable, and we take extreme care to ensure our screens are kept in top condition for when our customers need them. At Conference Audio Visual, we know that our customers are planning events in all manner of different locations across Melbourne and the surrounding areas. In order to make it as easy for our customers as possible, we ensure that the projector screens we provide are either small enough to be conveniently transported by car or are designed in such a way as to make them easy to fold and carry. 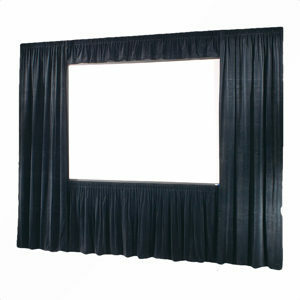 If you’re still stuck on how to get your chosen screen to your venue, we can even deliver it directly there for you on a day of your choice. When we were founded in 2009, we set out on a mission to create an audio/visual equipment hire company defined by its friendly and helpful customer service rather than its technical jargon. Our team is made up of highly trained experts who know all there is to know about the technology we provide, but who understand that our customers need them to provide their expert assistance and advice in a way that is clear and straightforward. To this end, we’re committed to working with our customers individually to gain a thorough understanding of their particular requirements, and of the demands of the specific event they’re organising. This allows us to offer our professional recommendation concerning which projector screen to hire, and allows our customers to be confident that they’re hiring the perfect product for their occasion. When looking for quality and affordable projectors to hire, Melbourne residents should look no further than Convenience Audio Visual. Contact a member of our team today to find out more about how we can help with your next event.